It's not a stretch to say that we’re officially obsessed with these spotted creatures for a gender-neutral nursery. 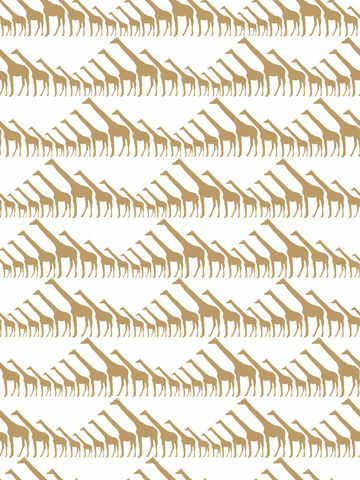 Create a stunning accent wall with this shimmering wallpaper featuring rows of giraffes. $170/ roll. 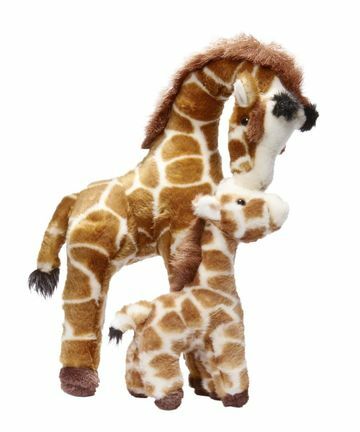 This sweet plush duo is aww-inducing. $36; shop. 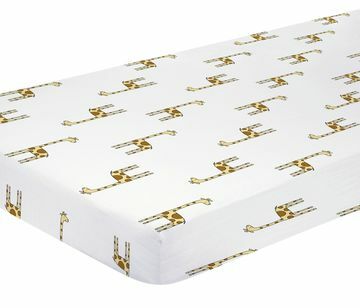 A stretchy muslin crib sheet by the popular swaddle-maker aden + anais will be your fave. $30. 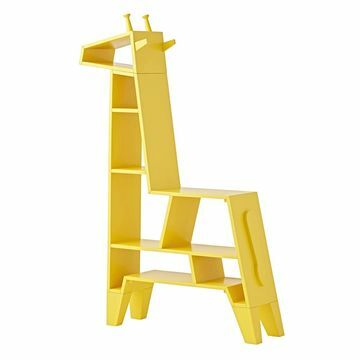 Organization is beautiful when you store Baby’s reads and a few toys on this uniquely shaped bookcase. $500. 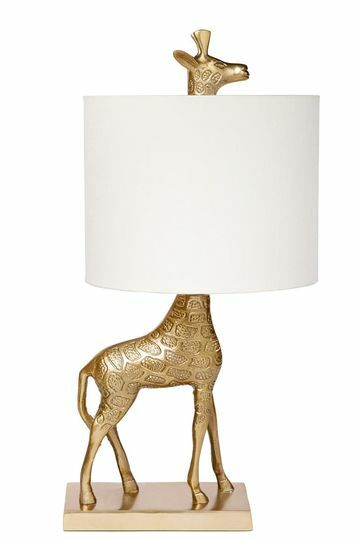 Brighten the room with Emily & Meritt’s playful lamp. $180. 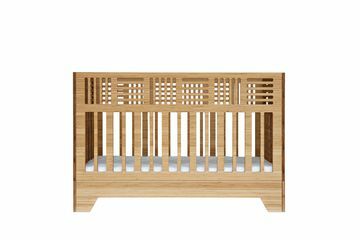 The geometric Io Crib, made in the U.S. from bamboo, easily converts to a toddler bed later. $1,600. 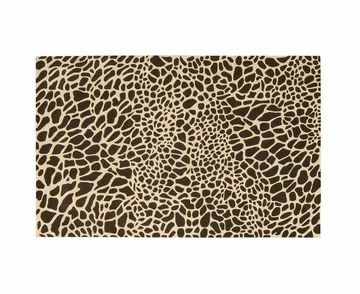 Use the Skyland Giraffe Wool Rug to ground your theme. $500 for 3.5' x 5.5'.